Reliance-Anil Dhirubhai Ambani Group (RADAG) has made Rs.4125crores deal with Spielberg’s Dreamworks Studios to produce 5-6 movies per year. Typhoon Morakot has hit Taiwan. The government has claimed at least 500 people dead and a loss of 3 billion dollars. China has emerged as India`s largest trading partner, replacing US in 2008-09. Bilateral trade engagement between India and China stood at Rs 1,63,202 crore (nearly $36 billion) in April to February 2008-09, an increase of nearly 7% over Rs 1,52,713 crore in the year ago period. In the same period, bilateral trade between India and the US dipped 7.5% and stood at Rs 1,55,353 crore (approximately $34 billion). 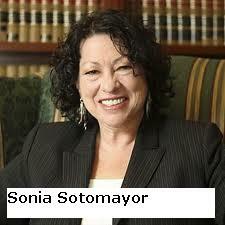 Sonia Sotomayor was sworn in as the Supreme Court`s first Hispanic justice and only third female member in the top U.S. court`s 220-year history.